Marijuana business owners across the country are gearing up for the industry’s biggest sales event of the year: 4/20. Dispensaries can generate three to four times their daily revenue totals on April 20 – the cannabis equivalent of Black Friday for traditional retailers – and the days leading up to it, while marijuana stores in the new recreational market of Colorado stand to see a similar surge in sales. 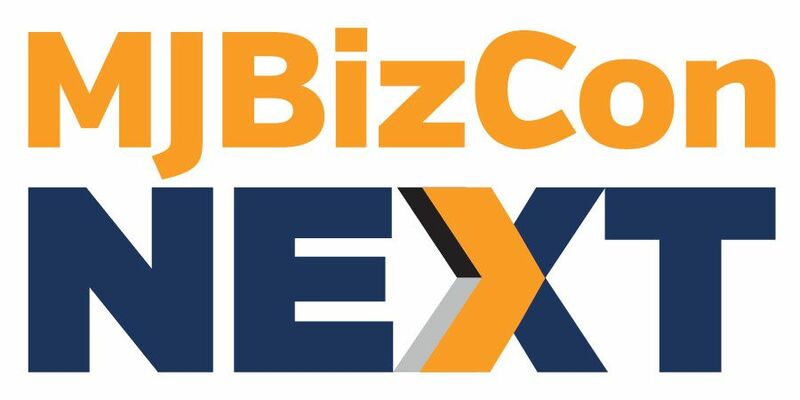 Cannabis businesses are employing differing strategies to capitalize on the sales rush, from launching 4/20-specific marketing campaigns and offering special promotions to hiring extra workers and stockpiling edibles. Some focus on attracting new long-term customers, while other look to sell off distressed inventory at discounted prices and try out new or exotic products that carry a higher sticker price. Regardless of the goal, preparing well in advance is key to making the most of the cannabis holiday and avoiding the operational pitfalls that can ensnare a business when demand ramps up suddenly. Several dispensary owners told Marijuana Business Daily that they begin adjusting their inventories for 4/20 anywhere from six to eight weeks out. The adjustments include purchasing more edibles and concentrates on the wholesale market and tweaking harvests to ensure that plenty of popular strains are available in the days leading up to April 20. And therein lies the challenge: Business owners know that more customers than usual will show up, but it’s often difficult to determine exactly how much traffic will increase and what stress it will place on the business. Dispensaries with a longer track record have a good idea of what to expect. Elemental Wellness Center in San Jose, California, is planning to serve between 1,000 and 1,200 customers from April 19 through April 20 – basing its projection on what it saw last year. On a typical day, the business has 400 medical customers. In Colorado, however, recreational marijuana is still in its infancy, and retail store owners have no idea what to expect. Brooke Gehring, owner of Patient’s Choice/Bud Med, said she served 1,000 or so customers across her three medical dispensaries on April 20 last year. Gehring said it’s difficult to estimate demand this time around now that she serves the recreational market. To compensate, Gehring said she hired a cultivation consultant to optimize her production efficiency. She will have security guards at all three of her retail shops to help with crowd management, and she is streamlining each store’s purchasing process. Finally, Gehring is asking all of her employees to work over the 4/20 weekend. “It’s all hands on deck,” she said. It’s a sound strategy: Overestimating the number of workers needed allows businesses to scale back if demand isn’t as high as expected. Underestimating staffing requirements, on the other hand, could lead to operational headaches, and it can be difficult to get extra workers in on short notice. In competitive markets, retail shops and dispensaries often advertise across more mainstream and expensive channels in the lead-up to 4/20, in addition to utilizing social media. A common marketing strategy involves reminding customers of 4/20 but also catching their attention with creative images. With Easter falling on April 20 this year, for instance, many businesses have blended elements of the holiday into their messaging. Elemental Wellness placed an ad in the Bay Area’s Metro weekly newspaper and in Culture magazine that combines images of Easter with Alice in Wonderland to advertise the shop’s special deals. The dispensary is also promoting an event on April 19 called “Shatterday,” where it will carry hard-to-find concentrates. The San Jose dispensary All American Cannabis Club is framing its advertising around Easter as well. Dave Hodges, owner of the club, said he decided to hold his annual 4/20 barbecue on April 19 this year because he believes that patients will be spending time with their families on Easter. He’s also kicking off the usual April 20 deals earlier into the week this time around. 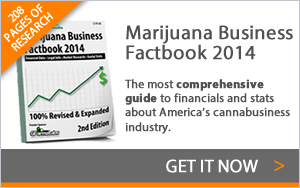 Product promotions and deep discounts are also common 4/20 business practices. Dispensaries and retail shops must walk a fine line with these promotions, since many states have laws that prohibit giving away cannabis for free. To get around this hurdle, business owners bundle products together at extremely discounted prices, with the final retail price covering the cost of some of the products while others are essentially free, even though they are included in the same sticker price. San Francisco-based MediThrive, for example, is including a pre-rolled joint and samples of high-grade flower and edibles with every delivery order on April 20. 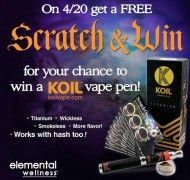 Elemental Wellness is selling lottery-style scratch tickets that reveal a special “free” product for paying customers, with the top prize being a KOIL vape pen. Many dispensaries are also using the Easter holiday as a theme for product promotions. The Queen Anne Cannabis Club in Seattle is selling an Easter basket filled with $150 worth of vaporizer pen accessories, edibles and concentrates for $100. The club is also packaging marijuana flowers and other products in small Easter eggs at $5 a pop. Johnson, owner of Queen Anne, said he also uses 4/20 to empty his shelves of hard-to-sell products such as tinctures or capsules, slashing prices their prices to make room for new offerings. WMHI(otc markets) develops lithium-ion bettery technology which is used in eCigs and Vapor products. They also have deals with greenhouse lighting manufacturers.